Iain Calder, veteran Editorial Director of National Inquirer wrote a book entitled, The Untold Story: My 20 Years Running the National Enquirer. Calder admits they acquired the photo from Elvis’ cousin Bobby Mann for $18,000. 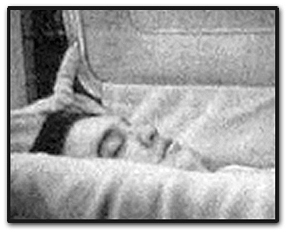 They bribed Mann to sneak a camera into Graceland and take a picture of Elvis’ corpse in the coffin. 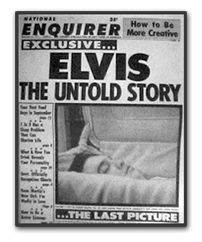 The shocking photo appeared on the cover of the Enquirer and led to a record-setting sale of 6.5 million copies for the issue. It has since become the most famous cover picture ever. The return on the $18,000 investment brought National Enquirer over 1000% profit. Ever wonder about the casket chosen for the King of Rock ‘n’ Roll? Here is the truth. Robert Kendall was Elvis’ funeral director at the Memphis Funeral home where the arrangements were made for his burial. Having arranged the funeral service for Gladys Presley 19 years earlier, Mr. Kendall naturally thought it only appropriate that Elvis should be buried in an identical $8,000 casket as his mother. This particular model of copper lined casket also provided a 2 by 4 inch stainless steel cylinder for the purposes of identification in the event the remains were ever exhumed in the future. Such ID vials included the pertinent information on specially chemically treated paper. 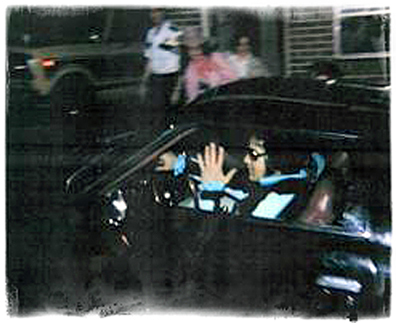 Last known photo of Elvis alive on August 16, 1977. Please Visit the EricHatheway.com Elvis Shrine … thanks!